This puppet theater was based on Pirates of the Caribbean. 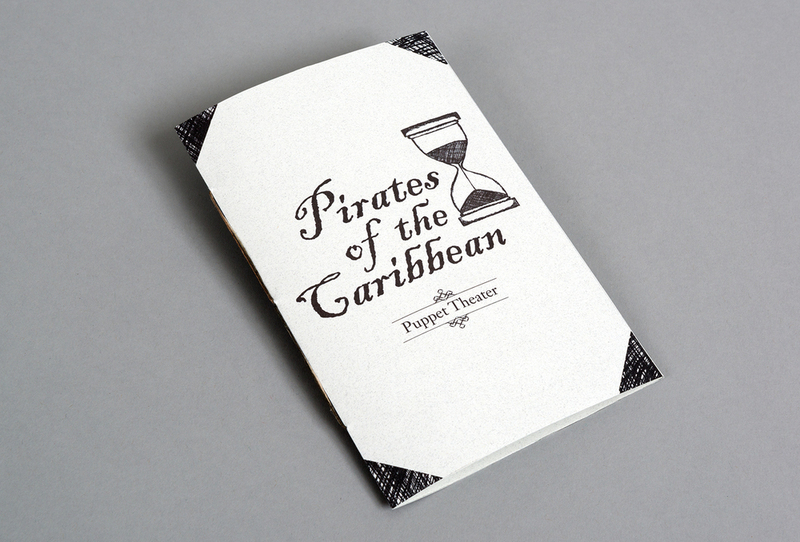 It was designed for children aged 6 to 8, but also for collectors of Pirates of the Caribbean merchandise. There were three different scenes, and three different characters that were included. The style was based off of etchings and old sea story books. There was also a playbook included which took the user through an exciting and new adventure. It also gave an introduction to each of the characters that were included. The storyline had to deviate from the original story. It took the user through yet another Captain Jack Sparrow adventure. In this story he would sail the seven seas to find the Sands of Time. Each illustration was transferred onto wood and then that wood was stained to create a weathered look. The puppet theater was also designed to represent a treasure chest to make this a special item for the user.